To start a successful website, you’ll need more than a solid game plan. You also require a reliable platform to power it, such as a Content Management System (CMS). There are a lot of CMS options you can choose from, but two of the most popular among experienced users are Joomla and Drupal. When combined, these five elements should tell you everything you need to know to decide between the two options. Let’s talk Drupal vs Joomla! First, it’s important to know that both Joomla and Drupal fall under the category of self-hosted CMSs. That means they’re open-source software, which you can download and set up on any server you want. Open-source CMSs are a great option for most websites because they offer you a lot of control over your site’s look and functionality. However, each platform provides a different setup and options, which is why it can be difficult to choose between them. The main thing you’ll want to understand is that, although Joomla and Drupal share a lot of the same functionality, they’re not targeted towards the same audience. That will become evident throughout the next few sections, as we compare Drupal vs Joomla in more detail. When you’re working on a website, you want to use a CMS that provides you with a lot of flexibility without being too difficult to pick up. In other words, if you need to sit through weeks of tutorials to learn how to use a CMS, then it’s probably not as user-friendly as it could be. This is a recurring theme when it comes to Drupal. The platform assumes that you already have at least a basic background in web development. Without that experience, you’re going to have a tough time learning the ropes of this CMS. There are other upsides to Drupal’s design, however, which we’ll talk about shortly. In any case, it’s evident that Joomla has an edge when it comes to ease of use. That’s why we’re awarding round one of Drupal vs Joomla to the latter platform. Along with being easy to use, you want a CMS that provides you with plenty of options to manage your website. That is to say, it should help you perform the day-to-day tasks you’ll have to deal with as a website owner. Overall, both platforms provide you with all the basics you need to manage a professional site. However, on a closer look, Drupal includes far more in-depth configuration settings, which can be an advantage if this isn’t your first time building a website. With that in mind, this round of Drupal vs Joomla goes to the former platform. Depending on which CMS you use, it should be possible to set up any type of website you want. However, whether this works in practice depends on the level of customizability your CMS offers you. Joomla and Drupal both shine when it comes to customization options, and we can tell you first-hand that they’re great picks for almost any type of site. The secret behind both platforms’ versatility lies in their theme and module systems, as well as the fact that they’re open-source platforms. 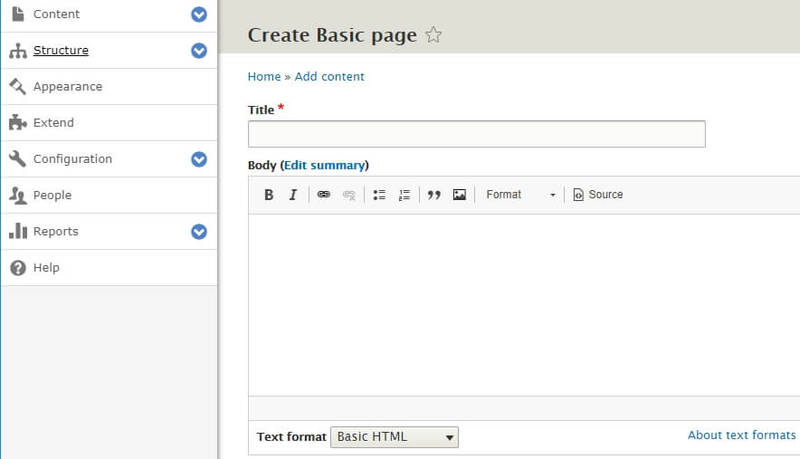 Joomla also includes a theme system. That means changing your website’s style is relatively simple, as long as you can find a theme you like. Keep in mind, however, that there’s no official Joomla theme directory, so you’ll need to look for options on your own. Aside from plugins and themes, we can tell you that both CMSs are fully customizable at their core. If you have any experience in web development, you shouldn’t have problems tweaking their functionality. However, if you do feel comfortable making manual customizations, you’ll probably get more mileage out of Drupal (since it offers more features out of the box). Therefore, although both platforms are highly customizable, Drupal has the edge over Joomla in this aspect. That’s why it’s awarded this round of Drupal vs Joomla. On any kind of website, performance is key if you want to keep visitors happy. That means your pages need to load fast, and your website needs to feel responsive. Otherwise, your audience might look for the content they want elsewhere. Which CMS you use to power it. What hosting platform and plan you choose. No two CMSs are the same, so it stands to reason that some options are better from a performance standpoint than others. Joomla, for example, offers solid performance out of the box. This CMS also gives you the option to enable features such as caching and GZIP compression, which can improve loading times even further. As for Drupal, it has a reputation for being both highly-scalable and light on resources. That means your website should be able to handle more traffic before it begins to slow down due to a bottleneck. This is one reason Drupal is popular for large and well-trafficked sites. However, it’s also important to understand that since we’re talking about two open-source platforms, there’s a lot you can do to improve loading times on your end. There are many plugins and extensions you can use for both CMSs, which enable you to optimize their performance even further. You can also tweak several settings manually to speed things up. In other words, you can have a speedy website using either platform. Of course, your hosting provider will also play a significant role. You will need to use a plan that can keep up with your site’s traffic if you want to avoid slowdowns. For example, a website that gets thousands of visitors a day will require something more robust than a shared hosting plan, such as a Virtual Private Server (VPS). Fortunately, both Drupal and Joomla are fully supported on Hostinger, which makes it simple to build a speedy website. With all of that in mind, we’re ruling this round of Drupal vs Joomla a tie. These days, most websites store at least some user information, even if the end users are not fully aware of it. This means choosing a secure CMS is more critical than ever because it can help you avoid situations where you’re putting your visitors’ information at risk. Fortunately for you, both Joomla and Drupal are excellent when it comes to security. To be fair, both platforms have suffered breaches in the past. However, that’s to be expected when we’re talking about popular CMSs since they’re frequent targets for attackers. The flip side is that security vulnerabilities are usually detected and patched quickly on both platforms. Overall, this constant back and forth helps keep both CMSs safe. 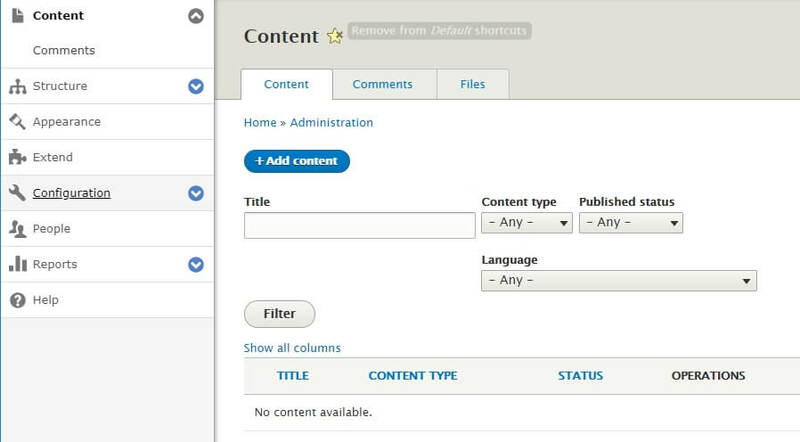 In addition, both Joomla and Drupal enable you to tweak their settings to increase security even further. Plus, you’ll get access to a lot of extensions you can use to tighten up your website’s security on your own. To sum it up, both platforms are as secure as the effort you put into protecting your website. You should be pretty safe if you use a strong password for your admin account and keep your software up to date. 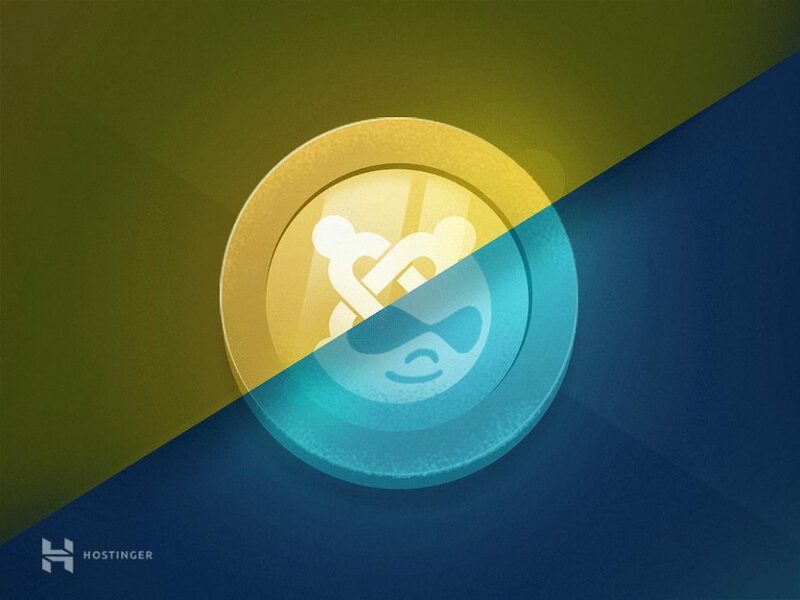 Overall, this round of Joomla vs Drupal is also a tie. It offers a great balance between ease of use and complexity of functionality. You get access to a lot of customization options. 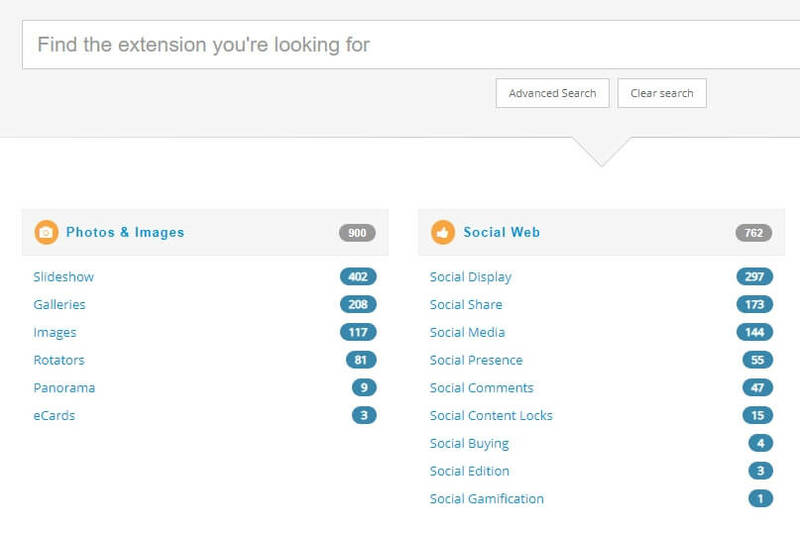 It offers built-in performance and SEO features. As far as we’re concerned, Joomla lies somewhere in the middle between WordPress and Drupal. It’s easy to use, and it packs a lot more features out of the box than the former platform. However, it doesn’t require you to have a background in web development, as the latter platform does. In any case, Joomla is a strong option for any kind of project. So it’s worth giving the platform a shot if you’re looking for a new CMS. A ton of built-in site management options. Access to thousands of modules and themes. The ability to customize every aspect of your experience. A lightweight platform that scales well. Ultimately, Drupal is the way to go if you’re looking for a CMS solution at an enterprise level. When you compare Drupal vs Joomla, it becomes evident that the former packs a lot more features. Its only downside is that if you don’t know anything about web development, you’ll probably need to hire someone to help you create your website. Using a powerful CMS is a perfect way to get your website started on the right foot, thanks to all the functionality it will provide you with. When it comes to CMS options, the choice often comes down to Joomla vs Drupal. Overall, Joomla is a bit more beginner-friendly. However, Drupal offers you more options, especially if you have a web development background. What do you think about the Joomla vs Drupal debate? Tell us what your favorite CMS is in the comments section below!